Lithuania announced it will ban the products of the cyber security giant Kaspersky from computers in critical infrastructure. After the decision of the US Government for banning Kaspersky software, Lithuania announced it will ban the products of the security giant from computers in critical infrastructure (energy, finance, and transport). Lithuania is member of the EU and also component of the NATO alliance, it is very critics of Russia, especially after its 2014 annexation of the Crimea peninsula from Ukraine. “The government… recognised that Kaspersky Lab software is a potential national security threat,” the Lithuanian’s defence ministry said in a statement. The Russian security software was banned from US government agencies because it was blamed by US intelligence of helping Russian intelligence steal top-secret information. The Lithuanian intelligence has the same opinion as of the US peers, the Lithuanian intelligence chief Darius Jauniskis recently said Kaspersky “was sometimes acting as a toy in the hands of (Russian President Vladimir) Putin’s administration”. 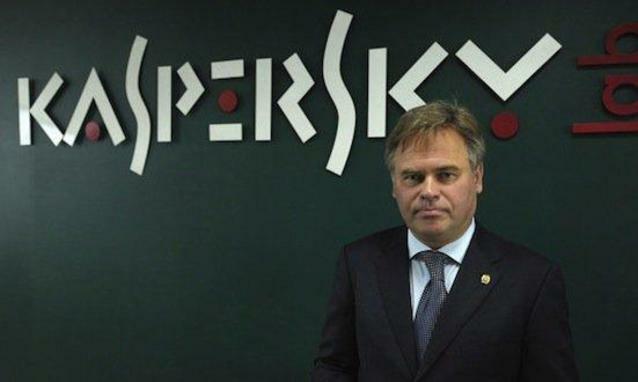 Kaspersky denied any involvement in cyber espionage activity, the company sued the U.S. Government over product ban, it’s appeal was filed in the U.S. District Court for the District of Columbia. Kaspersky considers the ban as unconstitutional, according to the company the US Government took the decision to prohibit its products based on reports citing anonymous sources without strong evidence of its involvement in cyber espionage activities. Kaspersky claims to have offered its support to the DHS for its investigation, but the agency issued the 17-01 directive, banning its security software and services without any warning. The decision of the US Government is having a significant impact on the brand reputation with a consequent effect on the sales in almost any sector and any country. “Through Binding Operational Directive 17-01, DHS has harmed Kaspersky Lab’s reputation, negatively affected the livelihoods of its U.S.-based employees and U.S.-based business partners, and undermined the company’s contributions to the broader cybersecurity community,” said Eugene Kaspersky, CEO and co-founder of Kaspersky Lab. In December 2016, Lithuania announced to have found Russian spyware on its government computers, the government blamed Moscow for cyber espionage campaigns. According to the Lithuanian intelligence, Russia powered cyber attacks that hit government networks over the last two years. According to the Reuters, the head of cyber security Rimtautas Cerniauskas confirmed the discovery of at least three Russian spyware on government computers since 2015.